World No. 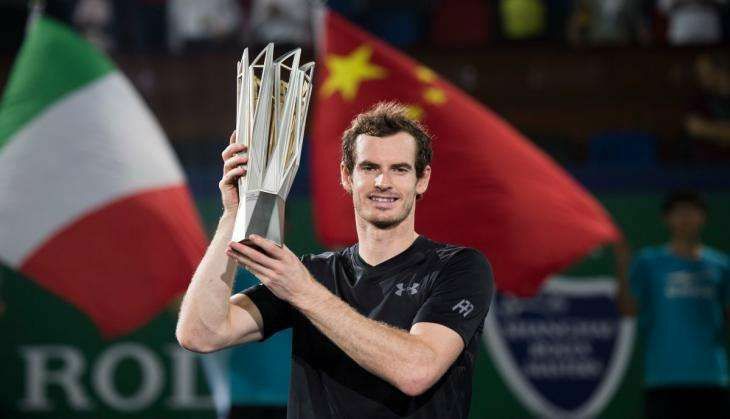 2 Andy Murray, on 16 October, defeated Spain's Roberto Bautista Agut in straight sets to clinch the men's singles title of the Shanghai Masters. Murray recovered from a stutter in the first set to win 7-6 (7-1), 6-1 against the Spanish world number 19 to clinch his sixth title of the year. 15th-seeded Bautista Agut had defeated World No. 1 Novak Djokovic in the semi-finals, but Murray ultimately eased to his sixth title of the year. While in the second set, the Briton gave no chance and eased past Bautista Agut. It is the third time Murray has won the Shanghai Masters following his back-to-back victories in 2010 and 2011. ATP quoted Agut as saying, "Andy is doing everything to get Novak. If he continues playing like this and working like that... He's really focused on getting No. 1." Murray wins his 13th career ATP World Tour Masters 1000 crown and 41st career tour-level title. He wins his third Shanghai Rolex Masters championship, tying Novak Djokovic for the most Shanghai crowns. By winning Shanghai, Murray closes the gap between himself and World No. 1 Djokovic to 915 points in the Emirates ATP Race To London. Murray still has three more tournaments left in his 2016 schedule and the season-ending Barclays ATP World Tour Finals could decide who finished World No. 1.